On October 2, 2017 despite an ISIS threat, the Museum of Jewish Heritage hosted a sold-out screening of Bernard-Henri Lévy’s film, Peshmerga, in the days following the Kurdish referendum. Lévy took the last flight out of Erbil, before the airports were shut by an Iraqi air blockade and testified to the feeling of euphoria and pride in the hours following this democratic vote and the deep sorrow in the days when Kurdistan was left by its allies and partners in the fight against terrorism. 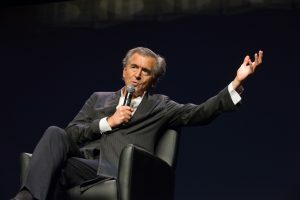 Lévy underscored Israel’s unique role in this situation, explaining that the relationship with Israel “goes beyond an alliance. It is a brotherhood.” The values shared between the Jews and the Kurds is long-standing and one to be nurtured in this time of trial.